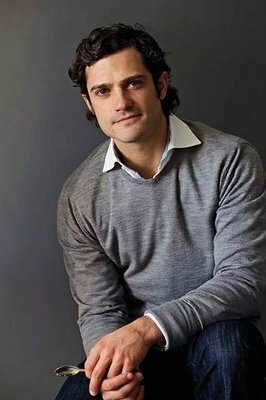 His royal hunkiness Swedish Prince Carl Philip had designer aspirations. To prove his abilities he designed a series of cutlery and more recently, this cast iron fire screen. The design has historical references: On May 7th 1697, a large fire broke out in Tre Kronor castle in Stockholm, burning most of it down to the ground. It has since been restored, but this screen works as a constant reminder of what fire can do. Set in the fireplace, it will be almost like a small theater stage, with the blazing fire behind the black iron. Available exclusively through Svenskt Tenn, a Swedish high-end department store. This entry was posted in Design, designers and online finds, General living and fun stuff and tagged bernadotte, CPB2101, Designer, fire screen, hunk, Prince Carl Philip, Svenskt Tenn, Tre Kronor fire. Bookmark the permalink.